Nature of Business : Dealers of different varieties of paper where in we mediate the supply of paper from the Paper mills to the end paper product manufacturers. - Having Experience & Knowledge of Kraft, Writing & Printing paper, Various packaging Grades & paper board (SBS) industry. - Interact regularly with the clients to ensure a committed and partnership based relationship. Candidates with other qualifications would also be considered. Kindly revert with the profile of all the candidates who are into Sales / Marketing. As mentioned, candidates from the Paper industry would be preferred, however we shall consider all profiles. 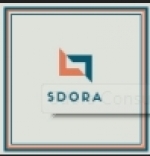 HR Recruiter at Sdora Consultancy Pvt.Ltd.